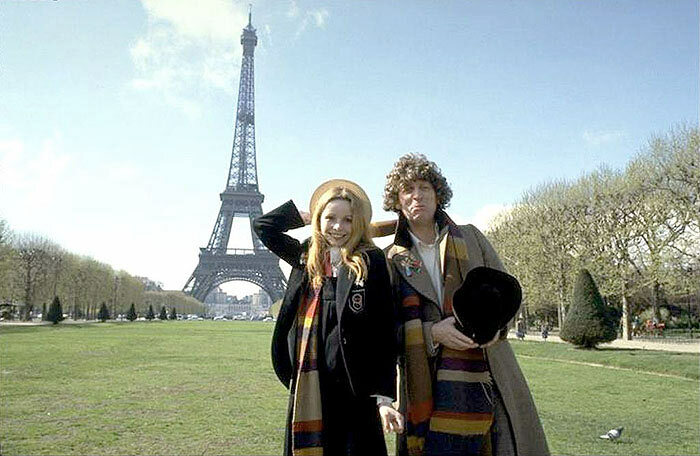 This Week In DOCTOR WHO History: Oct 2nd to Oct 8th | Warped Factor - Words in the Key of Geek. Did I scare you? Don't worry it's only part 4 of Galaxy 4 (titled The Exploding Planet, geddit?) which was watched by 9.9 million viewers 51 years ago today. Then it's time to head down into the quarry for the opening episode of The Hand Of Fear, which was broadcast in 1976 at 6:11pm, and watched by 10.5 million viewers. Oh look, it's Sarah Jane. And it's the start of the fifth and final season of The Sarah Jane Adventures. Episode one of Sky, a story about the terror of Rupert Murdoch (possibly), was broadcast Monday October 3rd 2011 at 5:20pm, was watched by 0.53 million viewers. Also on this day, in fact just last year, the Twelfth Doctor headed Under The Lake for what is, in this writer's humble opinion, one of the finest installments of Doctor Who we've seen in recent years. Sadly the overnight viewings for this episode were just 3.74 million. It was a small improvement from the episode broadcast a week beforehand, The Witch's Familiar. 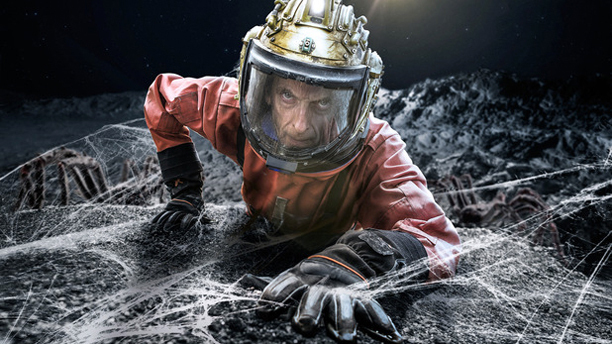 However the final consolidated ratings were just 5.63 million, the second lowest of any episode of Doctor Who since the show was revived in 2005. 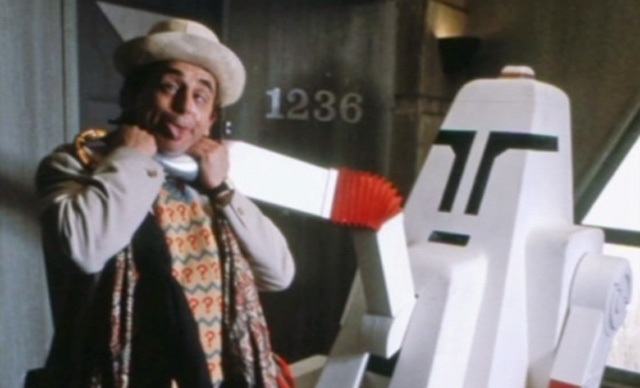 Part two of Planet of Evil gets things underway on this bumper day in Doctor Who history. Broadcast Saturday October 4th 1975 at 5:46pm, it was watched by 9.9 million viewers, more than double the audience of part two of Meglos, which premiered just five years later to 4.2 million. Sticking with the bescrafed one, on this day in 1976 school children up and down the country were tuning into part 3 of Exploration Earth. The BBC Schools radio series formed part of a study module about geography, and was broadcast in weekly installments at 2pm every Monday. This week it used the Doctor Who format and elements to explore the processes of the creation of the Earth, with the TARDIS taking the Fourth Doctor and Sarah back in time to witness stages of the Earth's development. The subtitle The Time Machine was never actually spoken on-air but was used in Radio Times listings and teacher's guides. Along with Doctor Who and the Pescatons, this rarity marks one of only two occasions on which Elisabeth Sladen appeared alongside Tom Baker in a Doctor Who audio play. Back to the screen, and a decade later in 1986 when the Sixth Doctor was still facing The Trial Of A Time Lord. The installment broadcast on this day, part five, was episode one of Mindwarp and was watched by 4.8 million viewers. Heading North of the border for the weekly Scottish Doctor's section. First up it's back to 1989 and part one of Ghost Light, which saw the Seventh Doctor take Ace and 4.2 million viewers to Gabriel Chase. And then we have the Twelfth Doctor with an overweight moon, a big arachnid problem which turns out to not be an arachnid problem and something to do with dragons & eggs or something like that - Kill The Moon basically. A story which on its premiere broadcast of 8.30pm, Saturday October 4th 2014, was watched by 6.91 million viewers. Finally on this mammoth day in Doctor Who history we have episode two of The Sarah Jane Adventures story Sky. Broadcast in 2011 at 5:20pm, it was watched by 0.53 million viewers. Episode 4 of The Mind Robber was broadcast on this day in 1968 and watched by 7.3 million viewers. 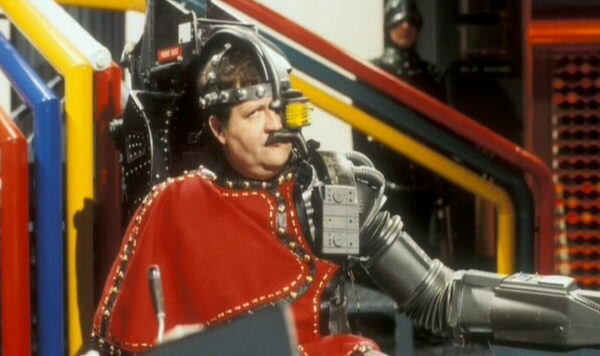 Then 19 years and 5 regenerations later we have 4.5 million tuning in for opening episode of Paradise Towers. Those lucky people!! What a difference a year makes, as on this day in 1988 Season 25 of Doctor Who got underway with part one of Remembrance of the Daleks. Widely regarded as one of the best stories from 1980s Who, it was broadcast at 6:34pm that Wednesday evening, and watched by 5.5 million viewers. 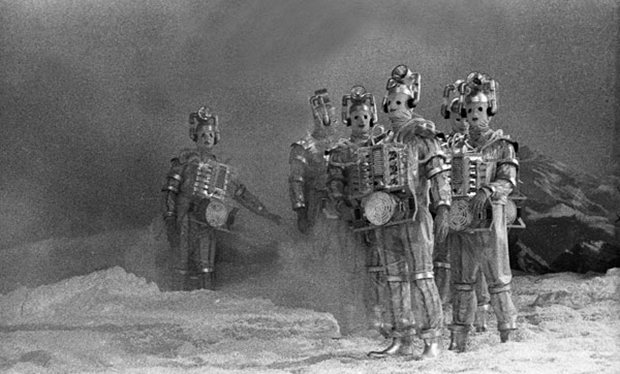 Part two of The Abominable Snowmen was broadcast in 1967 and watched by 6 million viewers. Then, in 1978, we have another Fourth Doctor adventure, it's the second chapter in The Key To Time arc and it comes in the form of part two of The Pirate Planet. 7.40 million viewers sat down to watch. 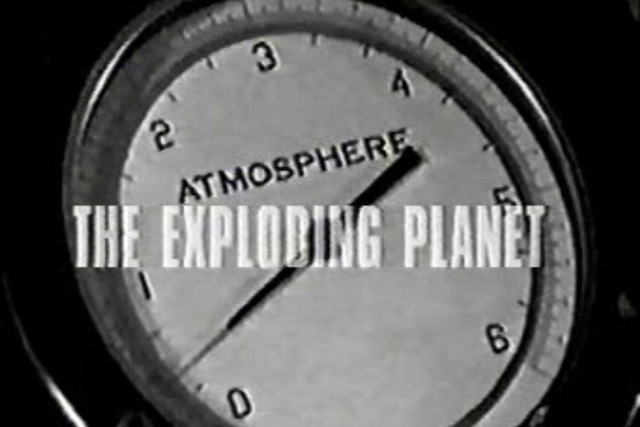 It was the beginning of the end for the First Doctor, as on this day in 1966 The Tenth Planet got underway at 5:52pm with 5.5 million viewers watching. Then it's Fourth Doctor time with part two of The Invisible Enemy, which was broadcast in 1977 and watched by 7.3 million viewers. Finally, for this week in Doctor Who history, back in 2007 1.18 million were tuned into part one of The Sarah Jane Adventures story Eye of the Gorgon. That's all for this week. Did you watch any of these adventures live? Let us know in the comments below, we'd love to here your memories of them.